It’s likely that many of you will wonder about this title, and rightly so; I myself had the same reaction when this article was first proposed to me. I’m not a chemist so I won’t write about acids and bases or neutralization reactions; instead, I’ll go through the lens of curiosity at its full spectrum, because sulfenic acids are the real deal. Nowadays, the connection between food and chemistry is known to all, not only when preparing a dish, as Ferran Adrià of El Bulli teaches us via his publications and restaurants, but also in the ingredients themselves. Food is chemistry, starting from its color (ie. the anthocyanins in grapes, the carotenoids in tomatoes), to its taste (ie. esters, and sulfenic acids) and ultimately its consistency (ie. gluten in bakery products). These components not only make up the foods we eat, but they also arouse different emotions and sensations within us. Though foods contain a wide variety of chemical components, those rich in sulfuric acid arouse in us some of the most extreme reactions. We are not crying, you are! But what are these foods? Garlic, onion, chives, shallots and leeks are all species belonging to the Lily family and to the genus Allium. They represent an interesting paradox since they are a mainstay of many cuisines, the basis of almost all culinary preparations, but at the same time, they all literally make us cry – more or less. 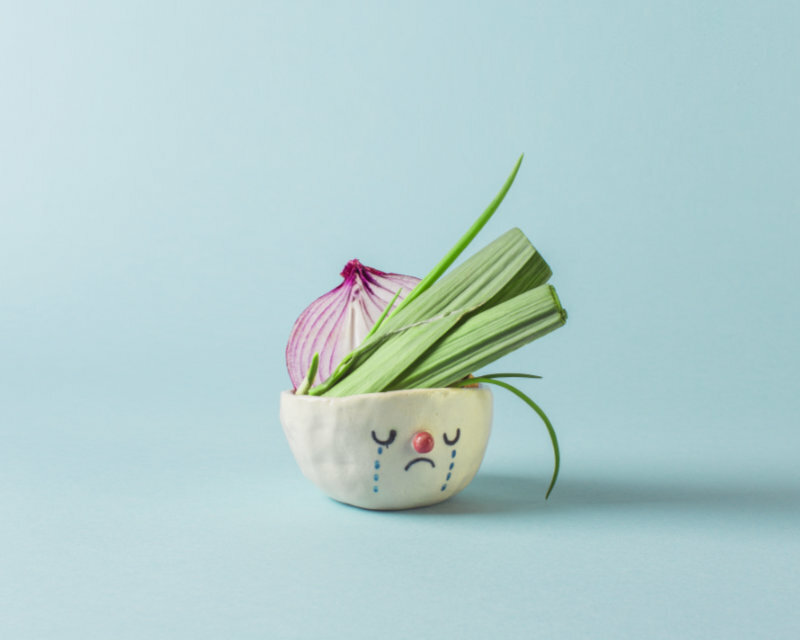 A. D. V. E. R. T. I. S. I. N. G.
The compounds responsible for our tears are triggered by an enzyme in the bulb called Allinasi, which helps the plant protect itself from predators. When the bulb is damaged, bitten, or cut (as is done in the kitchen), this Allinasi enzyme is released, causing a series of chain reactions that produce ammonia and sulfenic acid. These two end products activate another enzyme which, in turn, triggers a reaction that leads to the production of a volatile compound that disperses into the air and reacts with the water of the eyeball. Once contact with water is made, this compound is converted into sulfuric acid, which causes irritation to the eye and induces tearing, the eye’s own instrument of defense. There are various methods to avoid crying in front of an onion, a shallot, or garlic, but the most effective one is water. Washing an onion immediately after peeling it and after cutting it in half is a method that hinders the arrival of the volatile compound in the eyes. Additionally, while cutting, it is always advisable to put the cut pieces directly in a pan or bowl with water, thus avoiding prolonged exposure. Another remedy that can be useful to limit tearing is to keep the onion in the refrigerator, so as to slow down the enzymatic reactions and reduce the number of compounds being released into the air. In desperate times, equip yourself with laboratory glasses and you will not be bothered. Follow the recommended guidelines to provide maximum protection for the eyes. 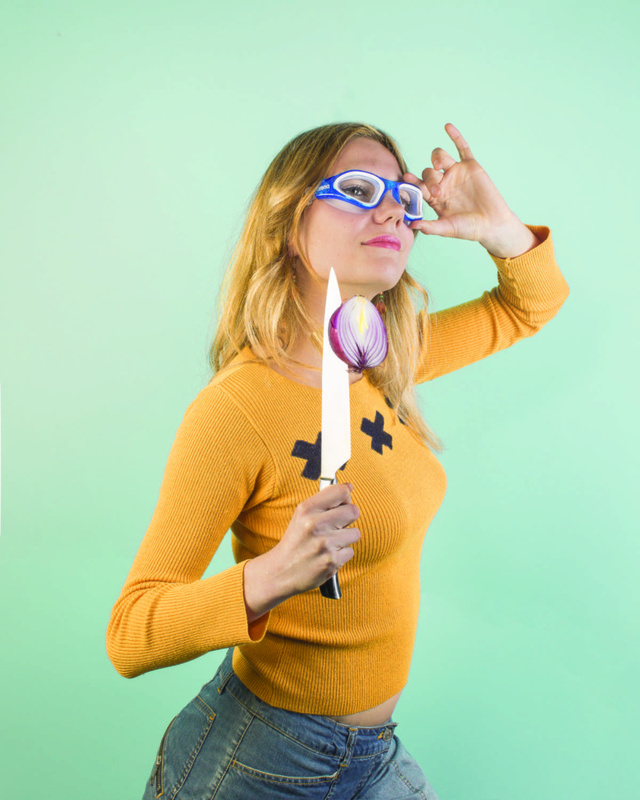 If we must go to great lengths to protect our eyes when using these aromatics, why bother messing with them at all? Fortunately, although these sulfur compounds create a kind of “problem” for the eyes, they are also extremely beneficial for the body, which is likely why they are so widespread in use. Onion, garlic and shallots – by far the most utilized of the 5 spices – are low in calories and rich in various properties including vitamins C and B, potassium, and selenium. Additionally, their sulfur compounds have antimicrobial properties, and have been proven to reduce blood pressure, a serious benefit for those suffering from hypertension. Furthermore, garlic contains a small amount of SAC, another sulfur compound that has antioxidant, immunostimulant, chemoprotective and anti-tumor properties (Santhosha SG, et.al 2013). While it is worth noting how these elements are important for our health, they should not act as a replacement for modern medicine in the case of serious illness, but rather as an addition to other treatments. That said, the strong relationship between food and health is clear, and it is proven that daily consumption of certain foods, especially the bulbs discussed in this article, can help prevent certain disorders and lead to overall better health. In fact, garlic-derived products and essential oils have been found to have significant health effects, including anticancer properties, as witnessed by the American Institute for the study of tumors ( USNCI) ( Suleria et al., 2015 ). The beneficial properties of these 5 plants differ not only between species but within them as well. One must consider the many varieties within the same species, which differ in their outside appearance (including color, shape, and size) as well as internal makeup (at the level of nutritional properties and taste). The diversity and health benefits of these raw materials, often underestimated, have attracted different acknowledgements from the European Community, including the Protected Geographical Indication (PGI). PGIs are awarded to products that have a significant historical past and which, in a certain sense, possess specific qualities and reputations attributable precisely to a geographical origin, considering both human and natural factors. Among the best known are the White Onion of PGI Margherita (characterized by a white “crystalline” color and high concentration of sugars), the Red Onion of Tropea Calabria PGI (red with a particularly sweet casing), the Scalogno di Romagna PGI (decidedly more strong and more fragrant than that of the onion) and lastly the White Garlic IGP Piacenza (conservation up to a year, known as the King of garlic). Ultimately, even though these products are used abundantly and are the basis of many recipes worldwide, they are not always given the right value, receiving a marginal consideration in the collective imagination. However, as we now know, they are valuable raw materials, some of the highest quality, which have beneficial health effects and a rich history, equalling or perhaps even superseding other more renowned products. As Pablo Neruda wrote, “Stella dei poveri […] , come out of the ground, eternal, intact, pure, as a seedling of a star, and when it cuts you the knife in the kitchen the only tear flows without penalty. You made us cry without afflicting us. […] lives the fragrance of the earth in your crystalline nature . “. Article about onion’s benefits with tons of references! He is a graduate student in Food Innovation and Management at UNISG. 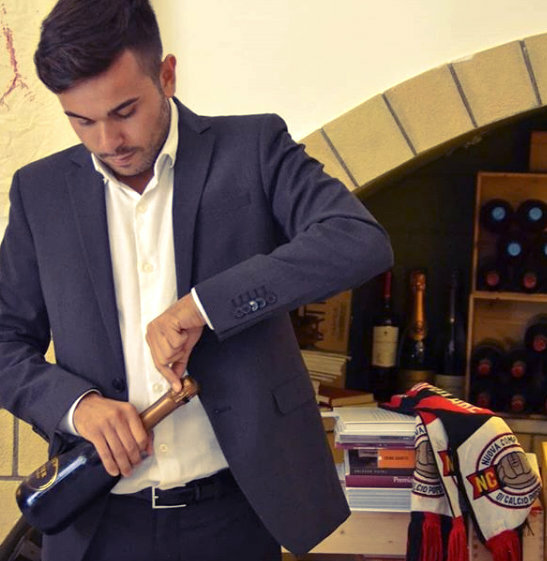 In 2018 he graduated from gastronomic sciences at the University of Foggia with a thesis on “Emerging Technologies and Innovative Food Formulation”. Fabrizio is also a professional taster of virgin olive oils, has had experience as a speaker on the radio and, after school, spent a gap-year in London.